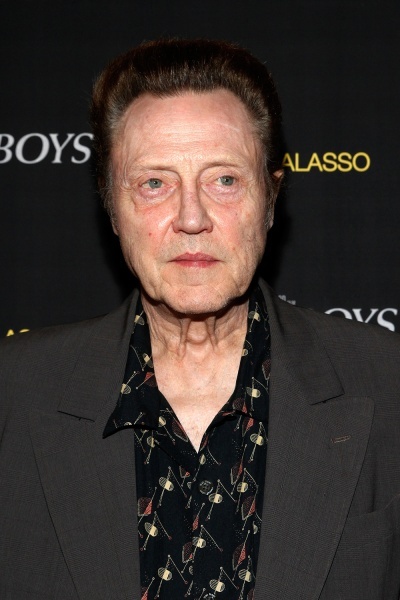 Christopher Walken attends the "Jersey Boys" Special Screening dinner at Angelo Galasso House on June 9, 2014 in New York City. Captain Hook has been cast in NBC's "Peter Pan Live," and it's a guy who knows a thing about timepieces hidden in strange places: Christopher Walken. Tic Toc Croc, you have a formidable opponent. The Oscar winner (and "Pulp Fiction" watch-hider) is the first big name to be cast in the live presentation, which will be a follow-up to the network's successful live rendition of "The Sound of Music" with Carrie Underwood, earlier this year. "He's one of the most unique actors in our business....and he might really just be a song and dance man at heart," NBC president Bob Greenblatt told report today at the Television Critics Association press tour in Beverly Hills. "He's fearless as a comedic actor and we guarantee he will bring his own take to Captain Hook. This might be the first tap-dancing Captain Hook." Greenblatt had previously said he wants Miley Cyrus to play Peter Pan, but no other casting has been finalized. "Peter Pan Live" will air Dec. 4.